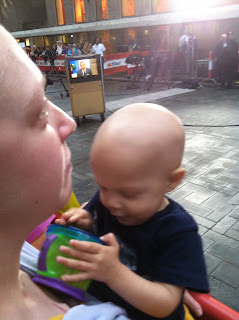 New Mom ..... New Cancer: How YOU can help a child with cancer TODAY! September is Childhood Cancer Awareness Month! Since you read my blog, and probably follow us on Facebook, you most likely already know this. Each day of September I featured a different tip for how ordinary people could do something to help children battling cancer. Here are all 30 posts, which feature over 40 different ways that you and everyone you know can help. I pass this information on to everyone I meet. Will YOU? #1 - Kids spend countless hours in the car traveling to and from treatments. Think of things that might entertain them - toys, games, books, music - and donate them to your local children's hospital oncology unit. Want to help out the parents? Donate a gas gift card to help pay for some of those trips (which can often bring them over state borders). #2 - Many kids spend a lot of time - sometimes weeks to months at a time - inpatient at the hospital. 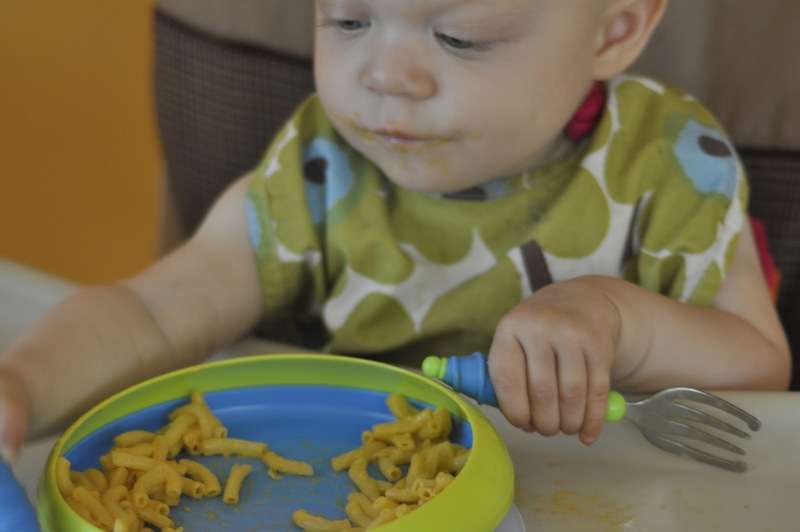 Hospital food is not exactly your mom's cooking, and often not even the nutritious food that they need to help their little bodies fight their hardest. Call your local children's hospital oncology floor and ask how you can send in some nutritious food for the patients. You could send a fruit box (like theThe FruitGuys send by mail) that could give fresh fruit to patients and families once a week. Or ask if you can sponsor a patient/family meal night on the floor. Many times these consist of pizza or sandwiches, but get creative and offer suggestions that might be different and exciting for the kids who have been there for months. #3 - Kids and families never get a day off from fighting cancer. Often kids end up spending holidays in the hospital, stuck in their rooms while receiving treatment. How can you help? 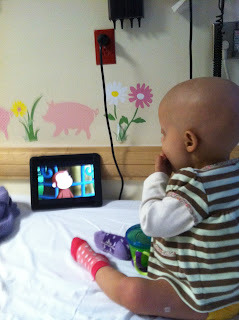 Instead of lounging on the couch all day, take some time to do something for those kids stuck in a hospital room. Make a hat, blanket or pillowcase; volunteer on the floor for the day; donate blood or platelets; have a yard sale and donate the proceeds. If you know a family personally, consider doing a few of these ideas. Cook a meal and drop it off; mow their lawn; wash some laundry; vacuum their house before they come home. Ask them what they need, and tell them you truly want to help. Get creative with your day off, and do something to make a difference in the lives of those fighting so hard. If you are a teacher or tutor, consider volunteering at the hospital to help older kids with school work (many will continue to do the work so they can advance with their class). Check with your local hospital to see if they offer a program (and suggest one if they don't). If you have a child in school who has a classmate going through treatment, suggest an assembly (if one hasn't been done) to talk to the other students about childhood cancer. Get that child's classmates involved by writing cards, doing crafts, or even holding a fundraiser (check with the school board to see if it is allowed on school time, or if you need to do it after school hours). There are many kids who will miss seeing their classmates, and can't have visitors because of the risk of infection. Offer to coordinate a video chat with the child's class so everyone can say hello and see each other through the magic of the internet! There are so many other ways you could help. Get creative, and let the kids get creative as well! GIVE BLOOD! Not only red blood cells, but platelets! Giving whole blood is quick and easy, and you can do it every 56 days. 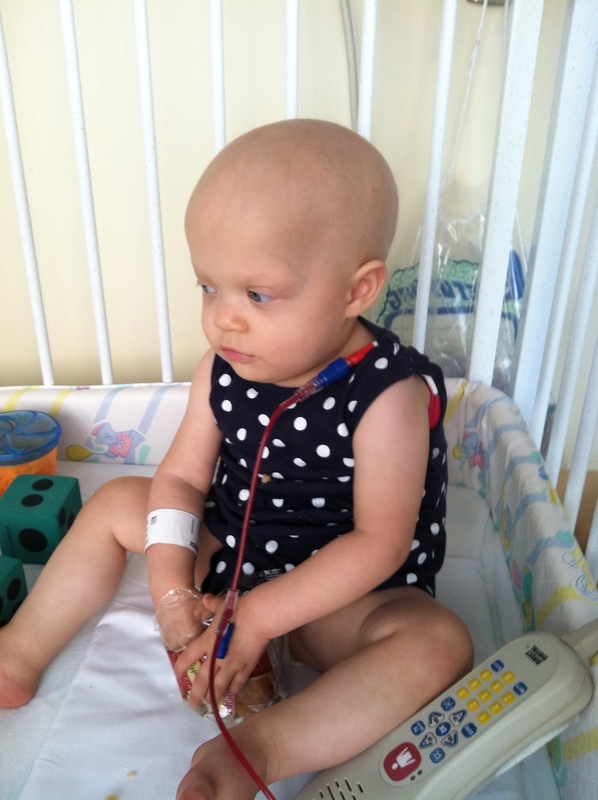 Platelets take a little longer sitting in the chair, but you can donate every 8 days! (as long as you are not donating plasma at the same time) Platelets are the hardest to come by in the blood bank, but both whole blood and platelets are important to kids receiving treatment. Want to go the extra mile? Register to be a bone marrow donor! 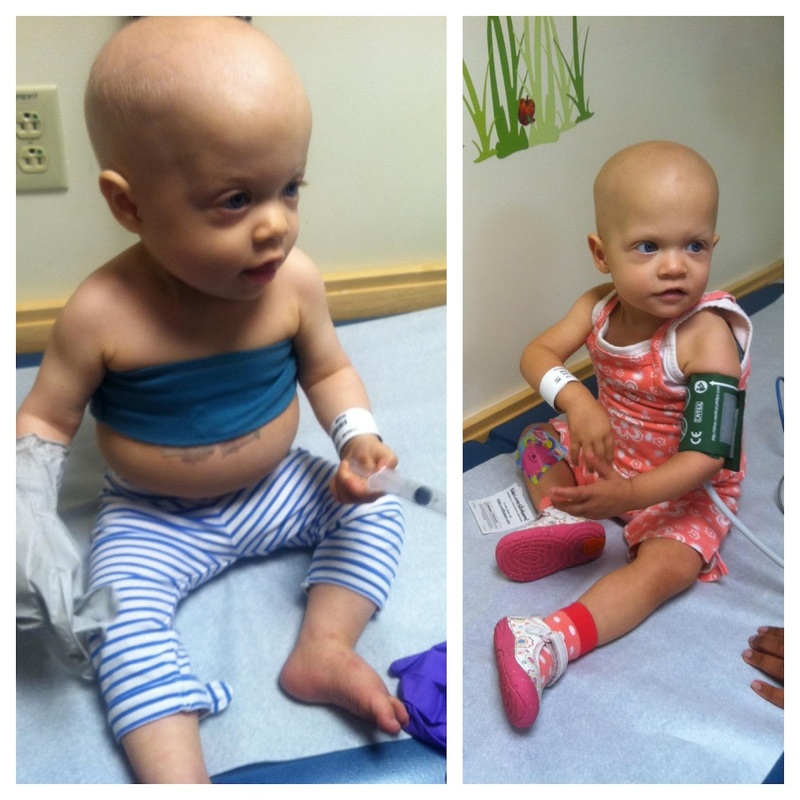 Some kids' only chance is to find a stranger whose bone marrow is a perfect match for his/hers. And registering is as simple as swabbing the inside of your cheek. visit www.marrow.org to find out how. Do you play an instrument? Volunteer to spend a day playing music to the kids and their families. Bring some instruments (like the ones above) for them to join in and make some music magic! Donate to your local PBS station. Public television is wonderful for kids, especially the young ones. 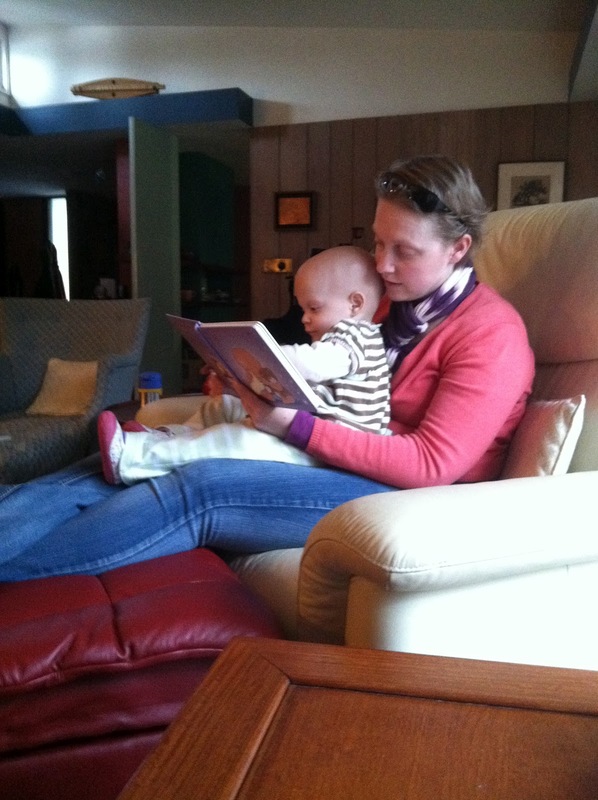 Shows like Curious George, Sesame Street, and Dinosaur Train got Saoirse through the roughest of days. They made her smile, and allowed us to sit down. Without Public Television, we would have been stuck searching for options. So donate to the station that your local children's hospital tunes in to every day. Even better, try to direct your funding to the kid's programing budget (some stations have memberships that are specifically kid targeted, but check with your station). 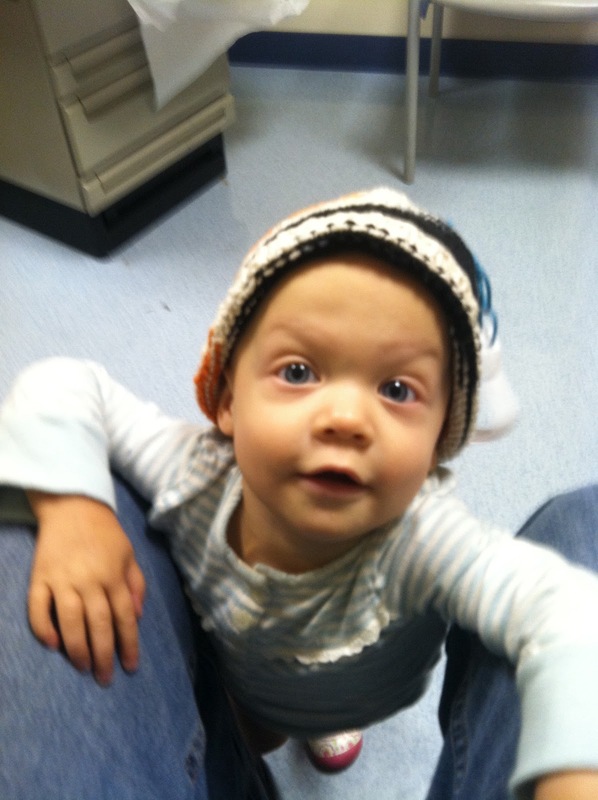 So help keep "Emmo" on TV for Saoirse, and for all the kids who need to smile each day. #8 - Nurses. The people who (next to parents) spend the most time with young cancer patients. They work day in and day out to make sure that patients and families have everything they need. They also get the brunt of complaints, and are often yelled at, puked on, peed on, kicked, smacked, bitten, and otherwise tortured. They invest their time, emotions, and lives into their patients, and can never be thanked or appreciated enough. So think of a way you might help those nurses who spend so much of their lives helping these kids through the horrors of treatment. Here are a couple I thought of, but please get creative - or just ask them what they need! Buy them lunch (or dinner for the overnighters) - think healthy, fresh foods that will give them energy to continue through their 12 hour shift (fresh fruits and veggies, and things they can grab and eat on the run). Are you a massage therapist? Offer to go in and give ten minute massages. Not a massage therapist? Send over some gift certificates for the nurses (think about getting a group of friends together and you each can "sponsor" a nurse). Send some cards to say thank you! Patients and families try and remember to thank their nurses, but sometimes an extra thank you can help a nurse get through the day. #9 - Since today's ended up being late in the day (sorry, I was in the car all day), we will go with a simple one. The following links are ways that YOU can make a donation to childhood cancer research without even trying (or paying on two of them). Click this link: ( http://www.facebook.com/WaterStoneBank ) and "Like" WaterStone Bank's facebook page. For every new "Like" they get in the month of September, they will donate $5 (!) to the I Back Jack Foundation. 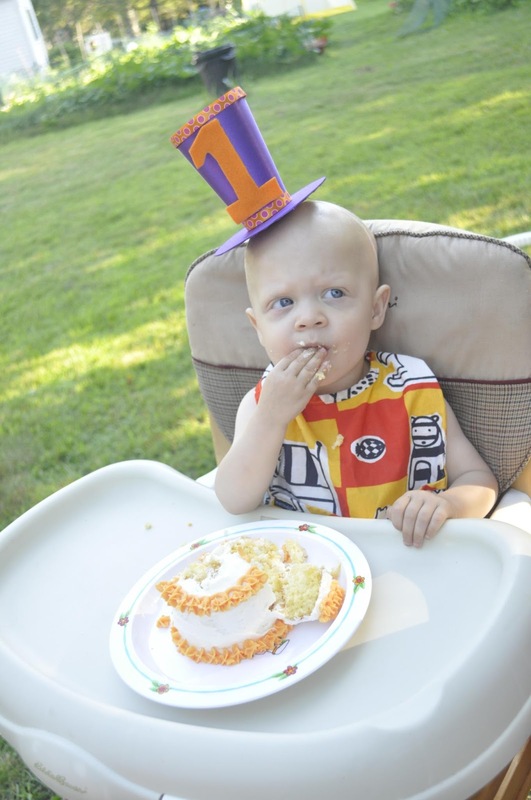 (Jack battled Neuroblastoma and his family started the foundation to help find a cure for NB.) This one takes literally no time. Two clicks. Done. Easy as pie! Click this link: ( http://itunes.apple.com/us/album/ronan-single/id560227510 ) and buy Taylor Swift's new single - "Ronan" - on iTunes. It's just $1.29, and the proceeds are going to pediatric cancer research! (Plus, it's just a wonderful song, inspired by and written using Maya Thompson's (Ronan's mum) words!) Many of you know the Ronan Thompson Foundation, and the amazing blog that Maya writes showing her true, often unfiltered, thoughts about NB and the toll it takes. Love you Maya! So if you don't download music, I understand (I don't do it often). So instead, share this link with someone you know who does. It's a step in the right direction, and brings awareness! 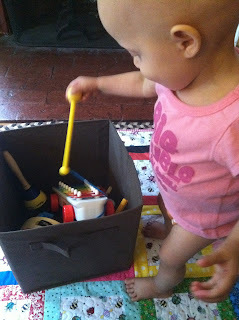 Can't find a kid friendly toy kit? Find a book or two that talks about taking a trip to the doctor. I'm sure that there are some good ones out there. Look for one that talks about not being scared, and how the doctor is there to help. Doctors' offices are scary, especially when you don't know what everything is. Anything that can make the process less scary can reduce the stress of going to the doctor. Do you have any other ideas? Share them with us! Craft supplies! We all have too many of them. If you find some that you know you will never use, pack them up and bring them to the child life specialist. They will be able to use them in the play rooms and for crafts with the kids. Books! Especially kids books. 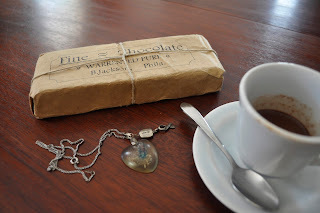 Keep those that you want for sentimental reasons, but donate those that you don't need any more. 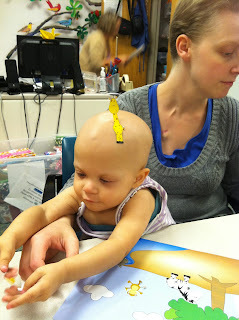 Books get used often on the oncology floors, but they have to be wiped down and disinfected after each kid uses them. This means they wear out faster. Glider chairs! When you are no longer rocking your kids to sleep at night, you may want to get rid of your glider chair (rocking chairs may be accepted by your hospital, some don't accept rockers). Consider donating it to the hospital. You may need to recover the cushions in vinyl, or get vinyl covered ones as replacements because they will need to be able to be disinfected. Unused electronics! Think old video games, gaming consoles, televisions, computers, iPads, DVD players, learning games (leap pad, etc), hand held games (nintendo DS, etc)...... Anything you think that a kid might want to use while in treatment (remember, teens will be there too). 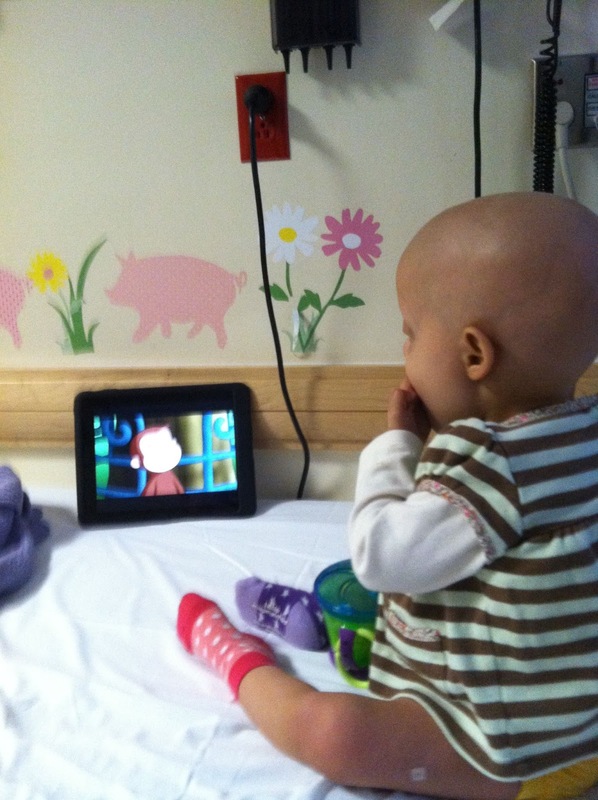 Kids often need things that can entertain them when they can't get out of bed or leave the floor during treatment. Check with your hospital to see what they need. Have lots of stuff that might not be useful in the hospital but might be useful to others? Have a yard sale and donate the proceeds! Get the neighborhood involved and you can earn even more! Can't have a yard sale? Try Craigslist! #13 - Pets are often a child's best friend. Saoirse's best friend was Fallon, our extremely patient Boxer. When she was in the hospital, she missed Fallon, and was so excited to see her when she came home. Today's tip is to support therapy dog programs. The Ronald McDonald House in NYC has a page that describes just why these animals are so important to kids going through difficult treatments (www.rmh-newyork.org/therapy-dogs). Call your local hospital and ask which group they use, then contact them to make a donation. If you have a therapy dog, consider joining a group that makes rounds to local hospitals. Don't have a therapy dog but think it might be something you're interested in? Look for local training centers in your area. Looking for a way that kids can have their own dog "with" them while at the hospital? Sign up to receive our newsletter (www.FitzgeraldCancerFund.org) and be the first to hear about an amazing collaboration coming up between the FCF and another great organization this winter! #14 - Today's tip is a fun one, and one that brings me back to my art school days. Bright, colorful art can bring a smile to anyone's face, and I love how kids light up when they see art made just for them. So how can you help? Sponsor a pair of Peach's Neet Feet! Madison is a wonderful artist who donates her time and talent to paint amazing, personalized shoes for kids battling for their lives. Each pair is made for that child with love, and heArt, and kids just love having their own "magic shoes" to get them through the tough days. So go to her website - www.peachsneetfeet.com - and find out how YOU can get involved by donating shoes, sponsoring a child, becoming a shoe fairy, or buying a t-shirt! There are so many ways to help and pay it forward. "Peach" painted a pair of Saoirse's shoes after she died so we could have them. We love them. To read about Saoirse's Magic Shoes, click here -www.peachsneetfeet.com/theirstory/159-saoirse - and read other kids' stories as well. Today's tip is to make some meals for a family going through treatment. Try to put the meals in individual portions in containers that can be microwaved. Meal Train (www.mealtrain.com) is a great way to coordinate meals for delivery from different people in your community. People can sign up for a day that works for their schedule, and put in what they will bring. Try and bring a variety of foods (check what others are bringing). 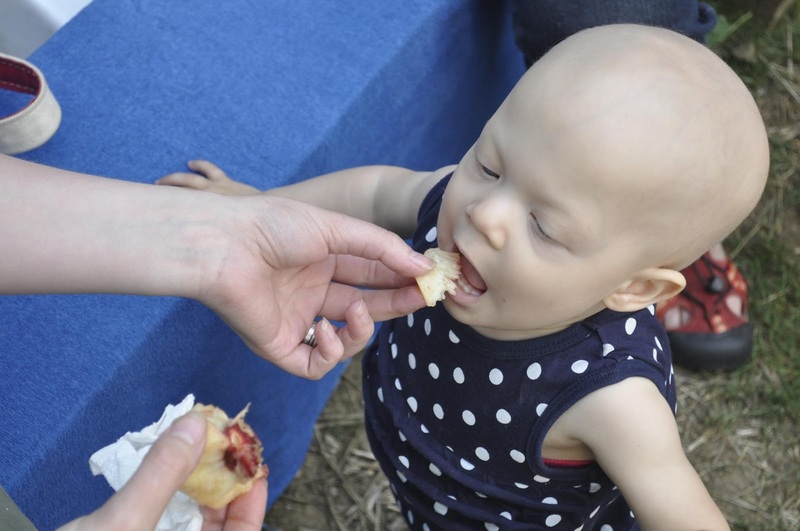 If you are setting up the site, make sure to ask the family if they have any food restrictions or preferences, and where food should be dropped off. Sometimes a home cooked meal can fix a tough day. #16 - All kids like to color. 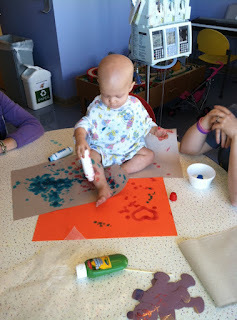 Crayons are a mom's best friend, especially in a hospital setting. Saoirse would spend hours with the bingo markers painting everything, making herself the final piece of art. If you're an artist, volunteer to paint a mural or two at the hospital and/or clinic. Murals are often painted on room windows, and are great for kids who can't leave their room. Scenes that take the kids "out" of the hospital and into a wonderful imaginary land are great (Saoirse particularly liked the ones of the giraffes in africa). Have extra art supplies around? Like to be silly and draw crazy things? Bring the supplies to the child life specialist to donate to the kids. Create a crazy project for them, or better yet, volunteer to do art with the kids. Inspire them to draw their dreams and be creative. Art can help in so many ways, and it's a great pick me up for kids that are stuck in hospitals and clinics during difficult treatments. 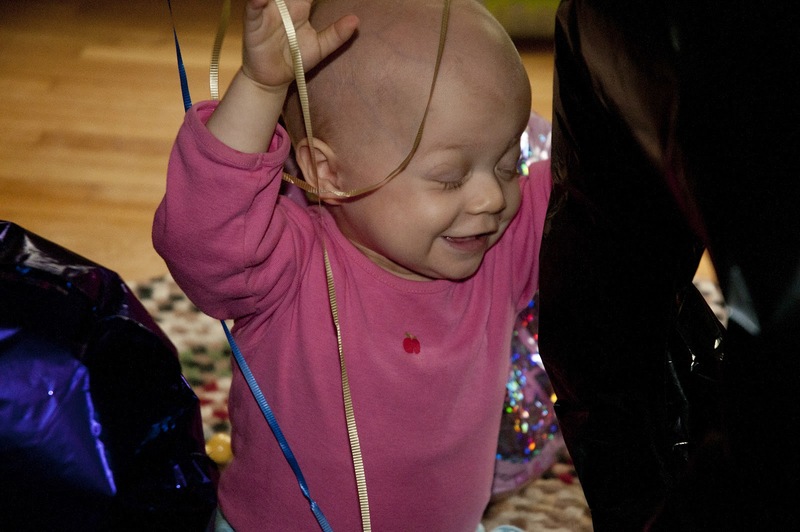 #17 - Many families battling pediatric cancer spend lots of family birthdays in the hospital. Last year we spent Mike's birthday (which is today!) in the hospital after Saoirse's surgery. The nurses do a great job making the kids feel special when it's their birthday, but they could always use a little help. 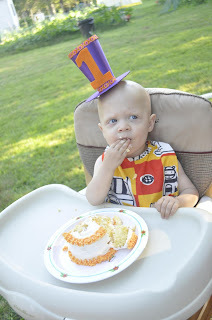 Today's tip is to sponsor a hospital birthday party! Think about things that you might find at a kid's birthday party - balloons (remember mylar only no latex), hats, streamers, treats, cards, banners, and of course cake! Call over to the hospital and see if you can sponsor a birthday bash for the kids who have birthdays coming up. You could do it for the month, or the week, or sponsor a single family. Talk to the child life specialist to find out what they think is best. Feeling special on your birthday is something that makes a big difference when you feel so different than other kids your age. This could be really special for the teens going through treatment, as they often feel alienated and separated from their peers. Think about things that a teen might like for his/her birthday and send them over. Maybe a new video game to play, a new book to read, a canvas and some paints. Again, call and ask the child life specialist and see if they know a child who needs an extra special pick-me-up on his/her birthday. #18 - St. Baldricks Foundation is dedicated to funding research for pediatric cancers. They are doing an amazing job, and have just teamed up with Stand Up To Cancer to form a Pediatric Dream Team! 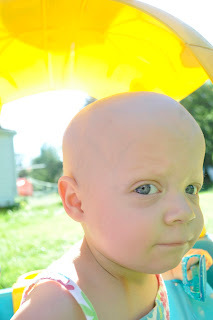 Saoirse's first haircut was a shave after her second round of chemo. Once it was cut, she would rub her fuzzy head and giggle. So shave your head, and remember to giggle when your rub it for Saoirse! 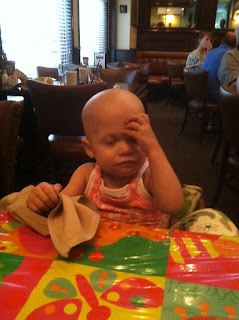 If you would like to honor her when you are doing your fundraising, her Kid Page iswww.stbaldricks.org/kids/mypage/4652 . Saoirse's 15 year old cousin, Alyssa, shaved her head this past June, on Saoirse's birthday, and raised $600 for St Baldrick's! If she can do it, so can you! 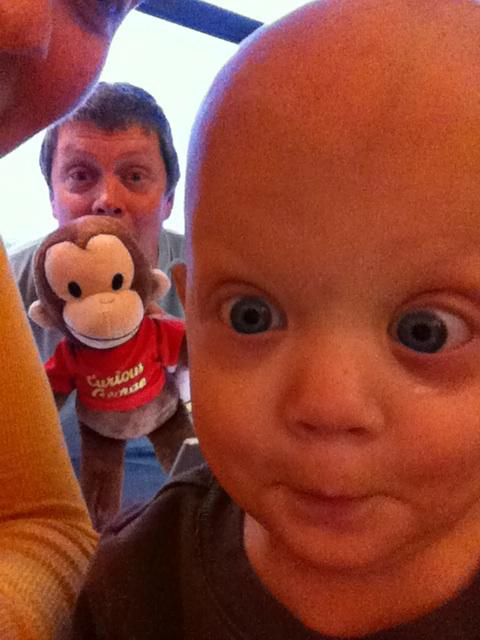 #19 - Awareness is the key to getting more people involved in finding a cure for Neuroblastoma. Tell the world about Neuroblastoma - The more people looking, the faster we will find a CURE! #20 - Balloons!!! Balloons make any day better! 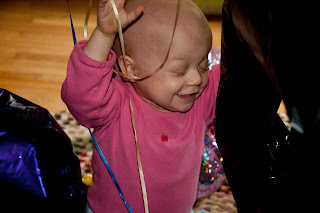 Saoirse used to get so excited over the balloons at the hospital. She would collect them from anywhere she could steal them from. Mostly, they had plain ones on the floor - stars, circles, moons. But the shaped and themed ones were a huge hit when they came around. Today's tip is to send some balloons to the oncology floor / clinic! Remember that balloons have to be mylar, as most children's hospitals are latex free and won't allow latex balloons. Get the fun ones - numbers, characters, pictures, sports, fairies... the possibilities are endless. They don't have to be expensive - most dollar stores sell mylar balloons! Call up to the ward/clinic and find out how many patients they have that day and bring one for each kid (get one or two extras in case one pops or a kid comes in emergently). You may not be able to pass them out to the kids yourself, but you should be able to bring them up to the nurses station (check though, with flu season coming up, they will shut down the wards to outsiders to avoid infection). Balloons can make the day, and they are well loved by all kids! Think about bringing some that the older kids will like too. #21 - Hospital rooms are quite stark - white sheets, white walls, white pillows. 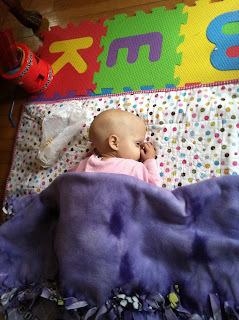 One of the easiest and quickest ways to liven up Saoirse's room was to put up blankets and pillowcases. They were always available for the kids up on the hospital floor. It was a wonderful way to brighten up an otherwise drab room. Today's tip is to volunteer to make quilts, blankets, or pillowcases for the oncology ward to have available for kids. One great organization is Quilts for Kids (www.quiltsforkids.org). You can visit their website for more info on working with them. Pillowcases are great too, and ConKerr Cancer is a great organization who donates pillowcases to oncology units (conkerrcancer.org). If you want directions on how to make them visit this website (conkerrcancer.org/pillowdirections.html) and then look for a drop off location here (conkerrcancer.org/regional-directory/). Fleece blankets are great too. I'm not sure if there is an organization that coordinates those, but they are super easy to make. Just two pieces of fleece the same size, cut strips along the outside edge, and knot them together. (if you know a group who does these, please let me know and i'll post it). They are great as they are super warm and they are really snuggly (that's a technical term). So make something to brighten their day, and their stay. #22 - Today is the first day of fall, which means it's getting colder out there. Today's tip is to make hats! Any kind of hat. Knit, crochet, fleece, cotton, beanies, brimmed hats, hats that look like kermit the frog.... Make them fun, and make them colorful. Hats are always welcome at the hospital and clinic. Little bald heads get super cold! There are some great organizations that will take your hats too, like PatPat's Hats here on the north shore. Find one in your area, and donate a bunch. Do you have a knitting group? Get everyone involved! And if you love Pinterest, they have great free hat patterns you can find! Have fun! #23 - Tonight, at 9pm, a special thing happens. A documentary showing the truth about childhood cancer premiers. 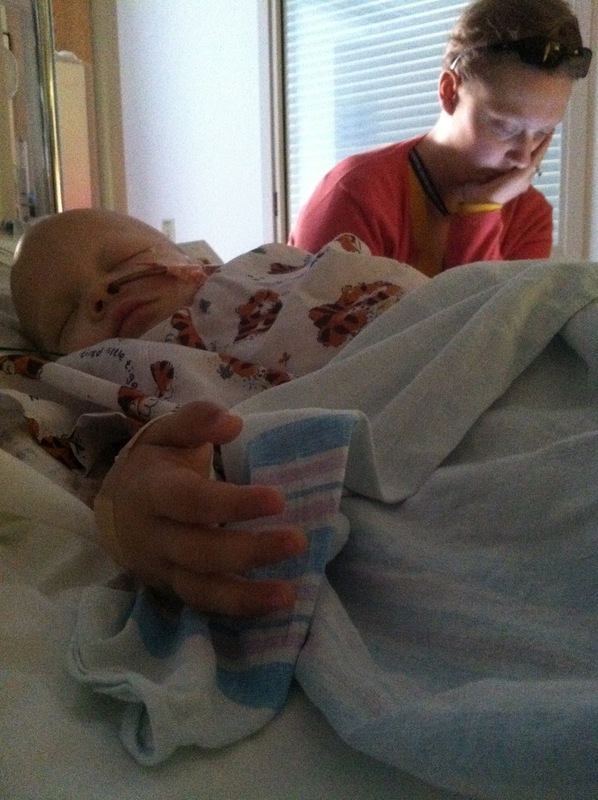 TheTruth365 is working to spread awareness about the reality of childhood cancer. It's not just cute bald heads, and smiling faces. It's not just lonely hospital stays and lots of hand sanitizer. There is so much more that is never told, never shared, never looked at - because it's just too hard. But it needs to be told, needs to be shared, needs to be looked at - because it's just that important. The reality needs to be out there, the reality needs to be recognized by the public that doesn't live it every day. This reality will bring the awareness, which brings the funding, which funds the research, which finds the CURE! Awareness is this first step, and this film is a great and easy way to spread it. So tonight - Sept 23 NOW SEPT 30 - at 9pm, go to www.TheTruth356.org and watch the film on their YouTube channel. Share the link, put the video out there, get others to watch and listen and become aware. That's the first step, and you have the power to help spread that awareness. Will YOU make a difference by just clicking SHARE? #24 - Having cancer is stressful for everyone involved. Kids are usually happy go lucky, and bounce through days of chemo, but it puts a huge amount of stress on their bodies. Combine that with stressed parents, friends, doctors and nurses, the tension can become overwhelming even for the littlest fighters. Alternative therapies can help relieve some of that stress. Therapies like acupuncture, acupressure, massage and reiki all help alleviate stress on the body, as well as other treatment side effects, and are almost always safe to receive during treatments. Here in New England there is an organization called Lucy's Love Bus. This non-profit organization helps pediatric cancer patients receive these integrative therapies, as well as educate the medical community about how these therapies can help their patients. Visit their website, www.lucyslovebus.org to learn more and to donate to their programs. Many children's hospitals are also beginning to develop outpatient clinics that offer alternative therapies. Check with your local hospital and see if you can donate directly to that program. Many nurses also learn to practice Reiki so that they can better ease the stress of their patients. Many of Saoirse's nurses would do reiki with her to help her settle down for bed. It was so great. She always slept better after as well. So support alternative therapy programs in your area, and help to alleviate the stress on patients and families. #25 - Grandparents and extended family are a huge part of the support system of a child who is battling cancer. Not only can they help with the day to day care and challenges, but they also are a huge part of the emotional support for the parents. They also spend a lot of their own money and time helping out at home and at the hospital. So today's tip is to help the Grandparents and extended family out! Send them a card, a gift certificate for a massage, meals, new slippers for staying at the hospital... be creative! 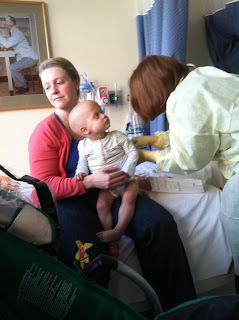 Another way to help here in the Boston area is to donate to the Alexander The Great Fund for Family Support in Pediatric Oncology/Hematology at Tufts Medical Center Floating Hospital For Children (www.tuftsmedicalcenter.org/Giving/SpecialGivingOpportunities). This fund was set up by NB Angel Alexander Whipple's Grandmother to support extended family members who want to be able to help as much as they can. Consider donating to this fund to help out as well. #26 - Today is all about helping families when they are far from home for treatment. Families need a safe place to go when they are out of their home environment - one that's free of germs, and caters to the special needs of kids going through chemotherapy and radiation. The Ronald McDonald House Charities provide housing close to many major hospitals, and cater to kids with compromised immune systems. 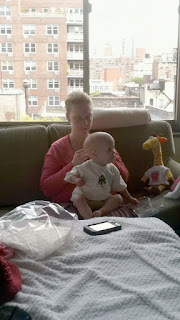 We were lucky to be able to stay at the RMH in New York while we were at Sloan Kettering. They are so warm and loving there, and they really made our stay easier than it could have been. They do so much for the families fighting with their children. So make a donation to Ronald McDonald House Charities (RMHC). They have many ideas for what to donate, as it doesn't have to be money. There are always different needs at different houses, so check with your local chapter and find out what they need most. (We even dropped off a few grocery bags of food for the families once). They are an organization that truly puts the kids first. #27 - As Childhood Cancer Awareness month will soon be over, we all need to make sure that the conversation doesn't end. The best way to bring up childhood cancer to a complete stranger? Wearing items that someone would ask you about! Wristbands, pendants, t-shirts, bracelets and gold ribbons can all be the beginning of a conversation about awareness, compassion, and strength! So grab a ribbon, put on a wristband, throw on a t-shirt and start a conversation! We have some items for sale in our online shop -www.FitzgeraldCancerFund.org/shop.html - we have t-shirts and euro bracelets in the shop now, and soon we will have wristbands. Check out some other childhood cancer organizations and their shops for some different items. You might find car magnets and decals, necklaces, lots of wristbands, and all kinds of t-shirts. Sharing the stories of kids who are fighting for their lives helps to bring others into the conversation. And we all know the formula - awareness = funding = research = CURE! #28 - Today's post will help families to create lasting memories. Parents who loose their child only have photos and videos to look back on to help them remember. So to them, those photos are precious and important. Even families who's child survives wants to remember smiles more than the tears, and photos are a great way to do just that. Today's tip has two options. The first is for photographers. 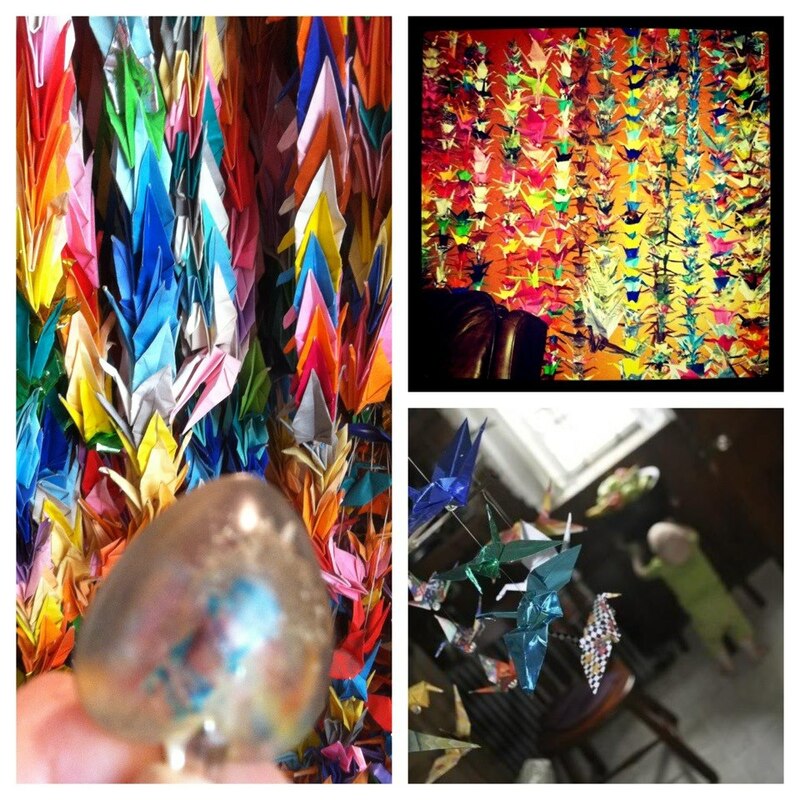 Become a photographer for the Tiny Sparrow Foundation or Flashes of Hope. These groups of volunteer photographers offer photo sessions to families dealing with childhood cancer. They create wonderful memories for those families, and pieces of art that they will treasure forever. If you could lend your skills and talents to helping a family remember their child's smiles forever, please consider joining with them. Not a photographer? Donate to these organizations! Flashes of Hope even goes to the hospital to photograph the kids that don't get to leave their rooms. These family photographs mean so much to the families and can truly be the art that keeps their child alive for them forever. Also, if you know of a family who's child is fighting cancer, suggest a photo session to them. Try and coordinate with them. With so much going on, it's hard to think about pictures. We never got around to it, and I always wish we had. #29 - This is the second to last day of Childhood Cancer Awareness Month. Tomorrow is the release of the film TheTruth365. Today's task? Alert the MEDIA! Let's get this out there. Let's keep the awareness going and build our audience. Lets share this with everyone we can think of and share the stories of the kids and families that have been devastated by childhood cancer. Share our story at the same time and lets start getting some force behind us moving toward an end to Neuroblastoma and a real life for these kids after treatment! So call your local station, write a letter, text their tip line, post to their Facebook page, twitter them all day! We can do it. There are 5,673 people who like this page. Let's Flood the Media! #30 - Today is the last day of September. As Childhood Cancer Awareness month comes to a close, I am remanded of the reality that my, and so many other, families live through every day. Not just the ones who have lost a child like us, but also the ones who live in fear of relapse every moment of every day. We never asked to be part of this club. We never get to look away again. We can never forget what we have seen and experienced. We will never get a day off from the reality of living through it. This is my reality. I carry around the ashes of my daughter in a pendant around my neck. I take pictures of her like she is with me; like she is seeing all the places I take her. But the reality is that she is not there. She will not see those places. She will never be able to tell me what she thought of them, or if she would like to go back. Help to bring this to an end. Donate, Volunteer, Become a Doctor or Nurse, Become a Researcher, Share your Skills. Help find a CURE and bring an end to this childhood thief called Pediatric Cancer. Don't turn away - don't let others turn away. I am so sorry for your story. Thank you for all your suggestions on how we can help. I'm so fortunate to have not faced cancer but I feel it's important to be more aware of this terrible thing that has destroyed so many lovely and beautiful people in this world. Pediatric Cancer is really one this world's worst monsters - it just hurts me to know that so many amazing children and families will not be able to live the life I've already had. I am a mother of two boys and treasure every moment with my boys. I will print out your post and carry your ideas with me throughout the rest of my life so that I can help where I can. Thank you so much for sharing your story. Saoirse is beautiful and always will be. I'm sorry to hear about the state of your child, I would want to share about philadelphia cancer treatment center which can be of great help in fighting against cancer.